How do you explain network neutrality to your less-than-tech-literate friends and family? It’s a broad and complex topic that is rather difficult to persuade people to care about. Of course, the best way to explain an issue like that is to demonstrate how it could effect the explainee. That’s where TheOpenInter.net comes in. It’s a fancy illustration that demonstrates the general concept of a tiered internet to the viewer as he or she scrolls down the page. This is something that is scarily close to happening, given certain ISP’s track records and the looming NBC/Universal merger with Comcast. Some might say that the site oversimplifies things a bit, but that’s generally necessary if you want non-techies to understand it. Trying to cover every base ends up confusing people, and is partially why so few people know what network neutrality is. I’ve talked about Network Neutrality here before, posting a simple explanation I’d written up. This time I’ve done something better. I’ve rounded-up a collection of videos on the topic. These Net Neutrality videos are worth a watch, whether you know what Net Neutrality truly means or not. (Hint: If you don’t care about Net Neutrality, you need to watch these videos.) They’re interesting, and very important. An “un-neutral” internet is what is called a “tiered internet,” meaning not all data packets are equal. On a tiered internet, ISPs may speed up, slow, or totally block traffic depending on its origin, destination, or type. Your ISP could stop your from using BitTorrent, slow down your transfer speeds when your accessing YouTube, or redirect you to Yahoo when you try to access Google. Or they could insert some ads of their own into web pages as they travel between server and client. Why would they do that? Money. By blocking BitTorrent, they would prevent you from using as much bandwidth. Redirecting one site to another? They might do that if they were paid enough. While tiered internet traffic is annoying enough for the end user, it’s even worse for the websites. Let’s use YouTube as an example. They’re already paying for their servers to have access to the internet, right? Well with a tiered internet, a few ISPs could decide to block, or slow down, access to YouTube, unless YouTube were to pay them a bribe to let them through. Insane? You bet. The concept behind Net Neutrality is “all traffic is equal,” meaning “no tampering with packets as they travel through the tubes.” A simple enough concept, but an important one that needs to be enacted. After all, be don’t want the internet to be like this, do we? Rogers|Yahoo, a Canadian ISP, has been experimenting with technology that enables them to modify page content before it gets to you. Shown in the Ars Technica linked previously, is the Google.ca homepage with a huge banner proclaiming that the user has used 75% of his or her bandwidth. 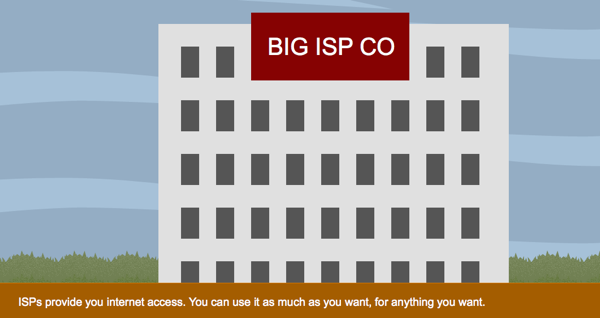 The ISP claims that their intended usage is not site specific and that they won’t be displaying ads. However, PerfTech Inc, the maker of the evil software, prominently advertises “ad insertion” as one of the major uses. Though Rogers states that they have no current plans to inject ads into web pages, plans change, do they not? You can bet that ads would come soon after. Unless laws are put in place to stop the ISPs, this will happen in the United States (and probably other countries eventually). 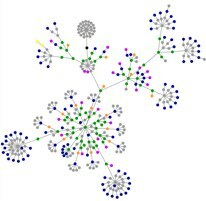 ISPs have no right to modify the contents of web pages before they reach your computer. Besides adding in obtrusive messages and advertising, what else could they decide to change? Suppose Microsoft wanted to cover-up bad reviews of their products. They could pay the ISPs to modify the contents of pages to contain glowing reviews rather than criticism. With technology like this is use, you couldn’t trust anything you read online. What about inserting advertisements? That’s totally illegal already. By forcing their ads to display when people view your website, the ISPs would be making money off your content without your permission. You spend time and money maintaining a website, and you invest your time creating content. Then the ISPs come along and make money off your hard work. I think that all of us who maintain websites can agree that we don’t want this.